These quality gold medals are precision crafted in sturdy metal and include a ribbon loop (ribbons sold separately). 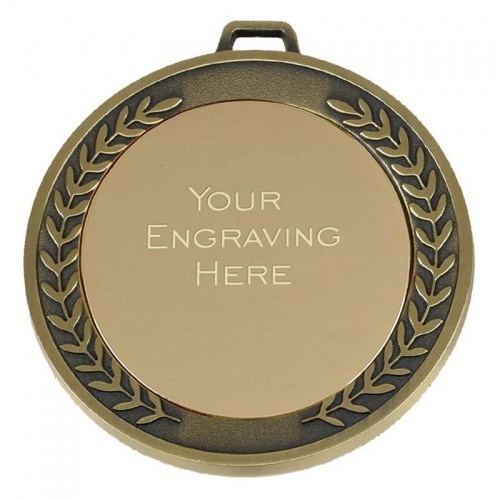 They are 70mm in diameter and feature a laurel wreath border enclosing a large engraving area. They have a gold colour finish and are offered with low, fixed cost text engraving and free logo engraving.